Wizz Air will launch a daily direct route to Oslo Gardermoen for the first time, as opposed to its usual destination of the low-cost airport Oslo Sandefjord Torp. The carrier’s new route is between Oslo and Gdansk, to start on April 4 next year using an Airbus A320 aircraft, and comes as part of a major readjustment in Poland for the Hungary-based airline. The biggest budget carrier in Central and Eastern Europe, Wizz Air already has 31 routes from eight airports in Norway. 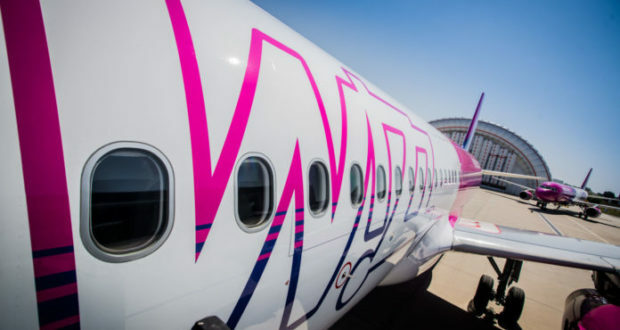 “Gdansk is an important transport hub in northern Poland and we are very pleased that Wizz Air is launching a whole-year route from Norway’s main airport,” says Jasper Spruit, director of traffic development at the airport operator Avinor. Wizz already offers flights between Oslo Torp and Bosnia-Herzegovina, Bulgaria, Latvia, Lithuania, Macedonia, Poland and Romania. Its “major plans for Poland” involve placing one new aircraft in Gdansk and launching four new routes from there, as well as accelerating capacity in Warsaw and “network optimization” in Poznan. On March 30, it will close its base in Poznan and add one A320 to its Gdansk fleet, allowing it to launch some of the new services from the Pomeranian region, to Bremen, Kutaisi and Kharkiv in Ukraine, as well as to Oslo. Frequencies from Gdansk to Gothenburg will increase too, to five per week. But it will continue to operate several routes from Poznan including Oslo Torp, Paris Beauvais, London Luton, Eindhoven, and Doncaster-Sheffield. It will convert its aircraft in Warsaw to an all-A321 fleet, adding two new routes, and will also add one new route between Wroclaw and Kharkiv. Wizz Air’s first flight took off from Poland in May 2004 and since then it has expanded its operations to carry over 63 million passengers. In the first eight months of 2018, around 6.3 million passengers flew with the carrier to and from Poland, 19% more than in the same period last year.